News from the exhibition match against the Nomads, and a relaxed weekend of personal development in Nanaimo. Furious George doesn’t like to talk about his feelings. So we made a slideshow. Furious George has officially commenced full practices for the season, kicking off the first week of closed sessions on Monday, Tuesday, Thursday, and a long one coming up on Saturday. 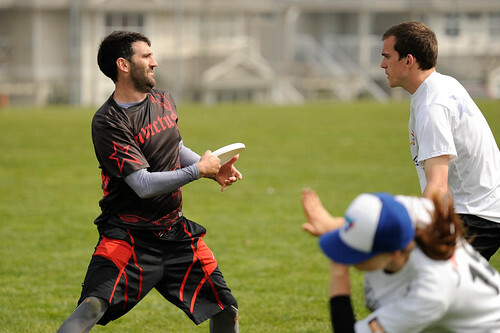 USA Ultimate’s college series is ramping up, with qualifier tournaments fast approaching, University of Victoria’s Kevin Underhill (FG #89) stirred up interest in getting the varsity squads together with the competitive teams for some scrimmages. Naturally, it rained.